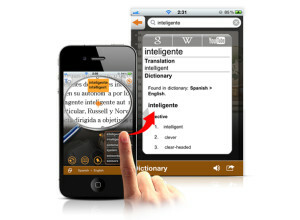 You are at:Home»Mobile Apps»WorldDictionary: A Universal Translator? I’m not sure if there are any Star Trek fans reading this right now but if there are…do you remember the Universal Translator? It was an awesome device that translated alien languages on the fly. Pretty sweet and since I only speak English and Australian I am in serious need of such a device. Well today I look at WorldDictionary from PenPower. 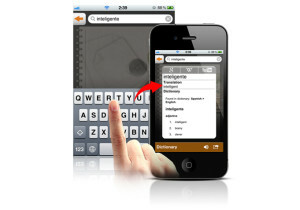 WorldDictionary is an app for your iOS or Android device that lets you use your device’s camera to translate foreign text. A pretty lofty goal and very valuable for those of us traveling overseas who don’t know the difference between Danke and Merci. WorldDictionary has a pretty cool feature which gives you real time translation. You basically point your camera at the text you want to translate and WorldDictionary translates immediately. This gives you a quick translation which may help in a pinch. Let’s say you have a paragraph of words you need translated, then you would just snap a pic in WorldDictionary and you can then select which word to translate and WorldDictionary will even give you more in depth information on the word including it’s usage and pronunciation (for 15 languages). I’m not going overseas anytime soon but luckily there are several items around the office which have not English language on them. I did a test of several of these items and was able to successfully translate each word I tried. 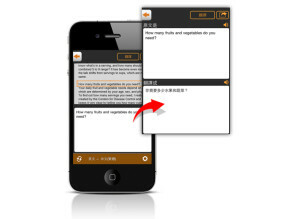 Instant View & Translate: The instant ‘View and Translate’ feature allows you to get instant translation simply by pointing your iPhone’s camera at a word you want to look up. Multiple Languages: Worldictionary recognizes and translates amongst multiple languages, ranging from Traditional Chinese, Simplified Chinese, English, Japanese, Korean, French, German, Italian, Spanish, Portuguese, Dutch, Swedish, Finnish, Danish, Norwegian, Polish, Hungarian, Russian, Czech, Slovak and Romanian. Select Image From Phone: Take a picture as you go around a new city and then translate later using WorldDictionary. Detailed & Full Sentence Translation: Provides full sentence translation and pronunciation. 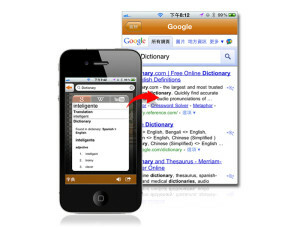 Advanced Search: Search through Google, Wikipedia and YouTube to expand your search. Saves Automatically: Save your search records automatically. 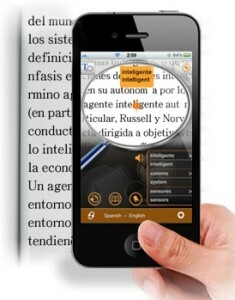 You can even build your own word database to increase translation efficiency. Manual Entry: Translate words by typing them in. WorldDictionary may not be the “Universal Translator” from Star Trek but it’s still a good app that is very useful when traveling. It’s available for both iOS and Android devices.